Augur is a prediction market platform that rewards you for correctly predicting future real-world events. You make your predictions by trading virtual shares in the outcome of events happening in the real-world. If you think Hillary Clinton will be elected President, the Yankees will win the World Series, or Leonardo DiCaprio will win another Oscar, then you'll buy shares in those outcomes. If you buy shares in the correct outcomes, you'll win real money profits. The prices of the shares you trade in any event adds up to one dollar - so if you buy a share at even odds it will cost you 50 cents. If you end up being right, you'll get back one dollar for every share you bought. If you're wrong then you've lost the money used to buy your shares. As with any market, the price of shares fluctuates over time. As more people buy shares in an outcome, the price of that outcome will rise while the price of other outcomes will fall. This gives you further opportunities for profit - by buying low and selling high, before the final result of the market is known. Augur's prediction markets provide powerful predictive data - you can think of the current market price of any share in any market as an estimate of the probability of that outcome actually occurring in the real world. For example, a share priced at 64 cents has a 64% probability of happening. The accuracy of prediction markets rests in the idea of the "The Wisdom of the Crowd". This states that the average prediction made by a group is superior to that made by any of the individuals in that group. Markets are the perfect way to aggregate this collective wisdom - which is made up of all the information, analysis and opinion held by members of the group. With these individuals buying and selling shares in the outcome of real-world events, based on their personal knowledge and opinion, the market prices reach an equilibrium that reflect the opinion of the entire group. Prediction markets have proven to be more accurate at forecasting the future than individual experts, surveys or traditional opinion polling. They provide real-time predictive data and are traded using real money - which incentivises market participants to reveal what they think will happen, rather than what they hope will happen. Traders are putting their money where their mouths are. Existing on a decentralized network gives Augur a unique edge over other prediction markets. Augur is a decentralized platform built on the Ethereum blockchain - which means no central servers that can be switched off. Using Augur, anyone, anywhere in the world can quickly and easily create a prediction market asking a question about anything. As a market creator you'll provide some initial funding for the market and in return receive half of all trading fees collected during the lifetime of that market. Augur's fees are set by users, and are vastly lower compared to traditional trading and betting platforms. All funds are stored in smart contracts - eliminating counterparty risk and allowing fast, automated payments to winning traders. Depositing and withdrawing funds are also completely automated using the blockchain. With no human intervention required, there's no human error. Join Augur Beta - Free! React / CSS & LESS / Node / DevOps / Bitcoin & Ethereum Augur is an open source decentralized prediction market built on Ethereum. By combining the magic of prediction markets with the power of a decentralized network, we’re able to create a stunningly accurate forecasting tool that can be used by anyone in the world. We’re looking for somebody who has built web trading interfaces before, ideally for a large scale site. We want you to be fluent in React, and have an intuitive understanding of how trading should work. It's a huge bonus if you’ve previously lead a small team of people doing just that. You’d be contributing to Augur and AURC, in which we encourage you to explore initially if interested. Please leave us your LinkedIn, GitHub, and one recommendation (with explanation) for how to improve Augur. This past week has been focused on improving the new market UI and polishing up functionality related to reporting. We’re starting to expand our internal testing group, and have been receiving valuable feedback from everyone involved. If you want to help test upcoming features or stay up to date on daily testing, please join us on Slack in the channel #betatesting. 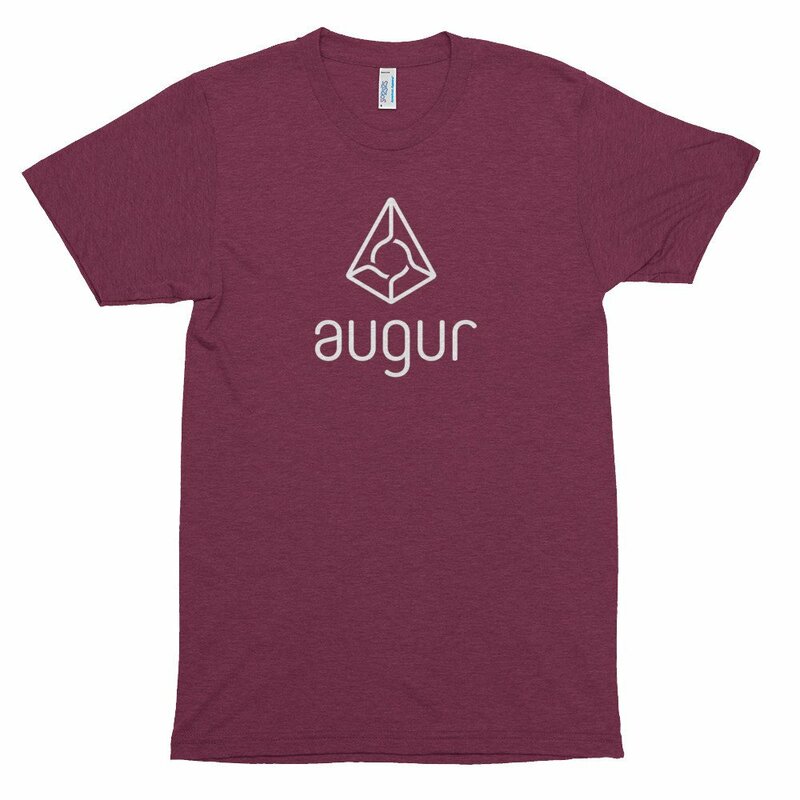 We have our classic Augur shirts for sale on Bitcoin.com now, too! 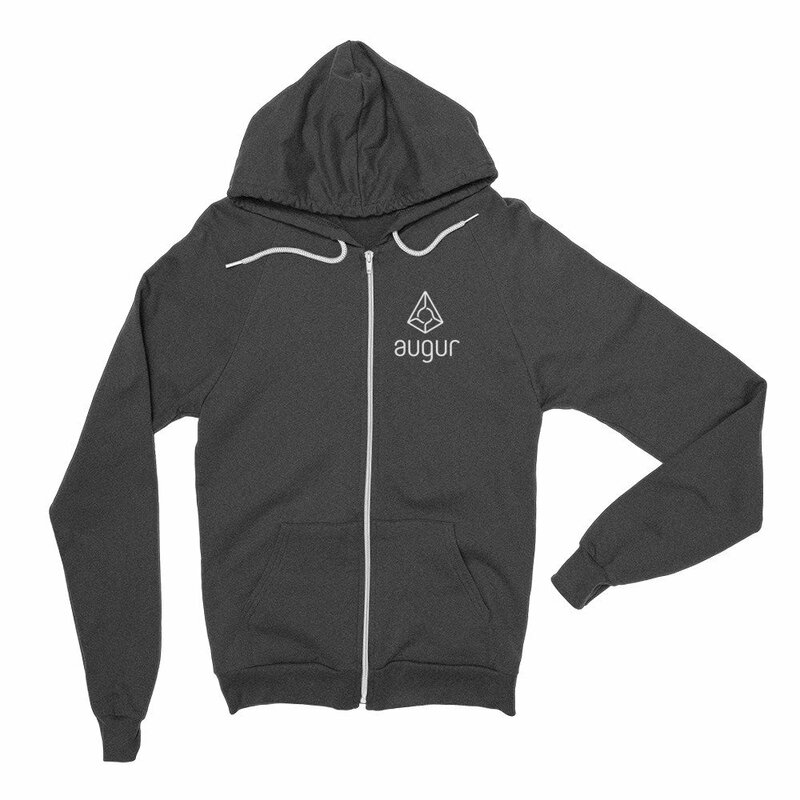 Augur shirts are now available on the BitcoinCom store! Fixed market selector isExpired property calculation, distinguished it from isOpen. Added result (reported outcome / proportion correct) object field to market(s) selectors. Scalar market order books now display “truncated” share quantities for very large quantities of millishares and microshares. Market preview tooltips now display non-truncated values for very large numbers. Categorical outcomes are now correctly rounded to the nearest integer (on eventResolution contract). Added check to make sure event is on the specified branch before penalizing (on consensus contract). Resolves the edge case of penalization of a reporter who is otherwise caught up when there are no events in a period. Added reporting proportion correct value to getMarketInfo array (on compositeGetters contract). Added event outcome to getMarketsInfo (on compositeGetters contract). Fixed a bug causing some reports to throw hash-mismatching errors during the reveal-report action. Failed reveal report actions now render correctly on the transactions page. Fixed a bug that sometimes caused the login button to be incorrectly disabled. Finished refactoring and thoroughly unit testing reporting timing methods (checkPeriod et al) in augur.js. Fixed/updated augur.js reporting-sequence integration tests to work properly with the refactored reporting tools. Fixed error on Reporting detail page. Fixed warning on trade (market detail) page. Added rescaling logic for categorical and scalar reports to augur.js fixReport and (new) unfixReport methods, and updated event / report loaders in UI accordingly. Full reset of network 9000 (test chain) contracts. Merged augur-core develop into master branch. Changed tick size to tenths on trade page. Added highlighting of the matching side of the order book when user clicks buy/sell. Fixed abnormally high CPU utilization on markets listing page. The trade page for scalar markets now properly displays the unit selection drop-down menu. The share amounts on the page are updated automatically when a new unit is chosen. Fixed scalar market labels (no longer improperly labeled as categorical markets). Added the first big batch of trading unit tests for the main augur repository. Began refactoring the monolithic checkPeriod method in augur.js. Set up mocks and stubs for unit testing. Fixed the My Reports (Portfolio) display. Added reporting cycle information (cycle number and how many cycles ago) to the My Reports display. Added a red thumbs-down “unethical” icon to the My Reports display. This appears by your reported outcome if you report a market unethical. Removed the fees collected column from My Reports, since this information is not yet accessible. Fixed the Ask / Ask Q. headers (switched positions). Improved load-events-with-submitted-report workflow: fixed penalize log-lookup, load event/report data from the reports state instead of the blockchain (where possible), and removed not-yet-implemented backend function calls. Added minValue, maxValue, and numOutcomes to the getMarketsInfo (compositeGetters contract) return array, and updated augur.js bindings. augur.js now assigns a type field (scalar, binary, categorical) to each market object in getMarketsInfo. Check back next week for our latest developments! Added human-readable “label” and “description” fields to static API data. Added “label maker” to augur-core API maker script. The following things are now included in the auto-generated transaction display: formatted label, description, timestamp, and gas fees. Added a “no-relay” list to the UI, which has the names of methods for which the transaction relay should not be triggered. This will allow the old manually-constructed “transactions” to peacefully coexist with relay-generated transactions in the transaction display. Attached the initial transact payload and full Ethereum network response data objects to the txRelay callback argument in ethrpc. Percentage reporting on correct outcome is now only displayed for binary markets, since we do not presently have access to this information for categorical and scalar markets. Fixed an array indexing error in getMarketInfo function on the compositeGetters contract. Reports are now revealed in parallel (up to 5 at a time). Registered sell error codes for the shortAsk method. This fixes the bug where a short ask order would correctly fail (due to orders being “crossed”), but the transactions display would incorrectly show the short ask as successful. Removed deprecated callbacks from augur.js. Fixed augur.js sendEther method to correctly include an onFailed callback. The checkPeriod function now only looks up chain data on initial loading and when the reporting cycle phase changes. Removed code related to the market data refresh timer, which is no longer used. Added a generic hook for transaction callbacks to ethrpc. The UI (or augur.js) can now register a transaction relay function that is automatically called any time any transaction is sent, succeeds, or fails. New testnet (Ropsten) genesis file is now bundled with augur.js. Fixed proportion-correct display on closed-market detail page and My Reports page. Fixed market result outcome name lookup for closed markets. The augur.js penaltyCatchUp sequence now calls closeMarket for all markets associated with the penalized event (instead of just extra markets beyond the first). This may be a temporary fix, depending on how penalizeWrong on-contract method is changed. Fixed new-branch first-reporting-cycle edge case on collectFees contract: collectFees method now always returns a value. Renewed augur.net wildcard SSL certificate (for eth2/3/9000 servers). Fixed trade page warning about minLimitPrice/maxLimitPrice types. Event IDs retrieved during composite lookups (getMarketInfo, batchGetMarketInfo, and/or getMarketsInfo) are now uniformly formatted. Added market/event ID parser method to the static API data of several augur.js wrappers. Combined first and second reporting test sequences into one method. Default HTTP and websocket hosted node URLs are now attached to the ethrpc (augur.rpc) object / editable by the consumer. Restructured augur.js tests: moved unit tests and integration tests to separate folders. Updated UUID versions and package name in keythereum and augur.js. Updated middleware Travis CI builds to only run on updates to the master branch. Various fixes to augur UI unit tests. Added the ability to auto-populate a trade ticket by selecting any order present in either the outcomes list or order book. Expanded test coverage of the Augur API buy, sell, and shortAsk trade methods. Visual indication of ‘own’ orders within a market outcome’s order book. Improved min/max bound handling for both shares and limit price when creating a trade order. Auto highlight behavior change to order book on market view. Improvements to the scalar share denomination label handling. General improvements to Augur.js trade unit tests. Improved test coverage of Augur.js ‘buy’ method. Added test coverage for the Augur.js ‘sendReputation’ method. Expanded and refined test coverage of the place trade action. Updated and added additional test coverage related to the market data and outcome trade components. Continued styling improvements to the market view. Bug fix related to the counts presented in both the header and footer navigational items. Improved state handling surrounding the outcome trade side selection. Safari and Mobile Safari specific UI fixes. Expanded and added additional selector shape coverage for market data and outcome trade selectors respectively. Improvements to market view components to be fully responsive. Improvements to the markets view compoenents’ existing responsiveness. Various miscellaneous UI responsiveness adjustments + improvements. Improved UX of header and footer navigation. Inclusion of additonal swipe event to handle show/hide of side bar. The trades contract now tracks the best bid and ask price within each block, and the buy/sell functions on the buy & sell shares contract verifies that incoming orders do not cross any previous orders in the same block. (That is, it makes sure that bids do not exceed the best ask price and vice versa.) If a make that would result in a crossed order is found, the later arriving order is not created, and an appropriate error message is relayed to the user. Better handling of mobile touch events, especially pertaining to nav reveal/hide swipe events. Expanded and refined testing coverage of the short sell trading functionality. As always, feel free to reach out with questions, comments or concerns and check back next week for our most recent progress. The Augur UI React Components repository and the Augur repository have been merged! It currently resides within the 1281-aurc-merge branch, soon to be the master Augur branch. Documentation has been updated to include running an Ethereum node locally, as well as Yarn build instructions. With the repos merged together, we expect a significant increase in development speed.Contracts are now deployed on the Ropsten testnet for app.augur.net – while private.augur.net is still running on our own private chain. If you experience rejected transactions on app.augur.net due to the Ropsten testnet, you’re welcome to use our private chain for testing. 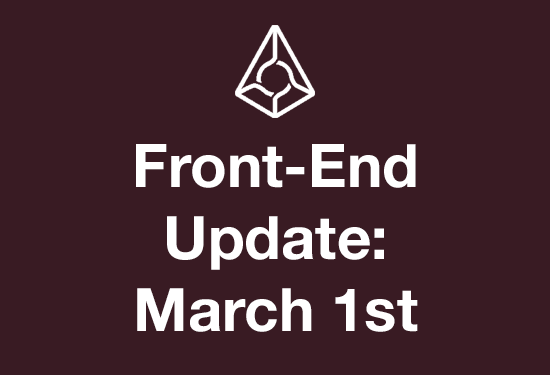 Reporting and revealing edge cases are continuing to be smoothed out and addressed.We will soon be releasing a checklist of actions and functionality to be formally tested on the Augur platform. This will be apart of the expansion within our controlled testing groups. Use last block gasLimit to set raw transaction gasLimit, if available. Removed conditional call to collectFees contract from submitReport: this call was not working correctly and (if fixed) would bring additional complications with it, so decoupling these functions seems like the better solution. Reversed order of UI calls to collectFees and revealReports in checkPeriod; collectFees is now called first. Added a filter that listens for market closings, and calls claimProceeds when events happen. Fixed the outcome name lookup of binary markets for reveal-reports. Added an optional timestamp argument to getCurrentPeriod and getCurrentPeriodProgress. Added explicit penalizeWrong and closeMarket wrappers to augur.js. Fixed penalizationCatchup call condition and added onSent/onSuccess callbacks to augur.js combined reporting functions. Moved payout augur.js functions to separate module. Fixed sender reference errors in payout functions. Added manual message updates to checkPeriod and claimProceeds functions. Removed account trades from localStorage. Removed duplicate address field (id) from loginAccount. Full contract re-upload on both network 9000 (private chain) and network 3 (public chain). Manually editing transaction display messages now disables automatic (return value-based) messaging transaction relay updates. Reputation faucet now correctly sets fees collected for the new reporter. Fixed sender address references in on-contract payout functions. Fixed condition under which Reporting catch-up function is called, instead of comparing event reports to the consensus (penalizeWrong). The UI now uses the current block timestamp to set Reporting cycle position. Removed duplicate address field from UI login account state. Removed account trades data from localStorage. Fixed a bug causing report period to be unassigned during commit report. Fixed filters (blockchain listeners) on non-root branches. Cash balances are now correctly displayed and updated on non-root branches. Last outcome price selector now directly uses the outcomes data state instead of the markets selector. Added contract method return value to transaction relay (auto-generated) display panels. Fixed reporting edge case where all markets in a reporting cycle have 0 volume. Assign reputation faucet starting report period depending on whether user accesses faucet during the first or second half of the current reporting cycle. Negative prices are now handled correctly during both trade and short sell. Updated geth.js start/stop package and tests. Added each-market-type order maker convenience method to augur.js reputation testing tools. Improved display of long messages in transaction display. Added more thorough unit tests for the trading UI. Uploaded Augur contracts to the new Ethereum public test network (“Ropsten”). Also moved the Augur faucet and public geth node (eth3.augur.net) to Ropsten. app.augur.net and augur-dev.firebaseapp.com are now configured to use the new Ropsten contracts. local.augur.net will also use Ropsten if you are not running a local Ethereum node. For users that prefer to remain on our private chain (network 9000), we are planning to maintain private.augur.net for the remainder of the beta test. Users of private.augur.net should be aware that the network 9000 blockchain is reset on a semi-regular basis, often without any public announcement/warning, and when this happens, all your private chain Ether, Reputation, and trading shares are also reset. Fixed market description display and links back to the trade page on the transactions page. Fixed bug causing cancel order transactions to appear twice in the transactions display. Significantly extended timeout in augur.js requests module to avoid ETIMEDOUT errors when attempting to request ETH from the faucet. The timeout is now set to a large value (999999) which should not be reached unless the user is experiencing a connection problem. Significantly extended nginx timeouts for eth1.augur.net. It turns out that the CORS errors occasionally generated by the faucet are not true CORS errors; it is actually an nginx timeout which is (mis-)identified as a CORS error. The timeout is now set to a large value (999999) which should not be reached unless the user is experiencing a connection problem. Reputation is the token behind Augur, and can be thought of as the “score” of an individual participant within Augur. Reputation is not an investment, but rather a tool necessary to make Augur work. The vast majority of Augur participants will never hold, see, or need to use Reputation. However, it’s extremely important to understand how Reputation works in order to fully grasp the Augur platform.Reputation tokens are limited to a fixed supply of 11,000,000, of which 80% was sold in our public token sale last year for a collective ~$5,300,000. Those who hold Reputation are expected to report accurately on the outcome of randomly selected events within Augur every few weeks. 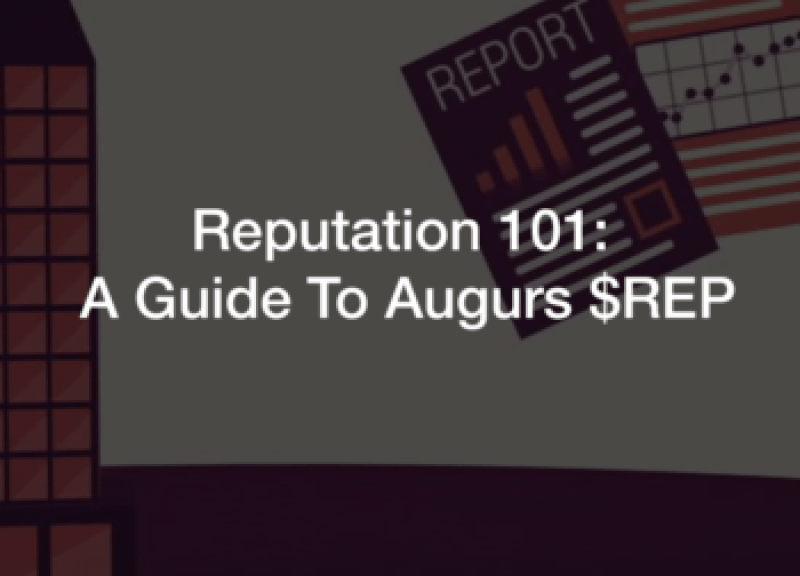 If holders fail to report accurately on the outcome of an event, or attempt to be dishonest – the Augur system redistributes the bad reporters Reputation to those who have reported accurately during the same reporting cycle.It’s important to note that you do not need Reputation to use Augur. Reputation is only used by reporters to report on the outcomes of events. Regular participants making bets on the platform will use Ether, or any other Ethereum sub currency. We hope to see the utilization of stable-coins in the future for settlement of markets. What are the benefits of owning $REP? By owning Reputation and participating in the accurate reporting on the outcomes of events, you are entitled to a portion of Augurs market fees. Each Reputation token entitles you to 1 / 22,000,000 of Augurs total market fees. The more Reputation you own and report correctly with, the more in fees you will collect. The Repulator Calculator made by an Augur community member will give you a rough estimate of expected earnings. How do I purchase $REP? If you missed out on purchasing during the token sale, you can still get your hands on some REP. Reputation is now sold on a number of third party crypto exchanges and markets, including Poloniex, Kraken, Bittrex, Gatecoin, and ShapeShift.Please be careful and weary of OTC trades in Slack groups, Bitcoin forums, etc. It’s suggested to purchase through an exchange for the increased safety of your trade. If you are looking to purchase a large amount, it’s recommended that you get in contact with an Augur team member and we can help point you in the right direction. How do I safely store my $REP? It is highly recommended that you store your Reputation in an offline, cold storage solution. Please do not leave large crypto holdings on centralized exchanges. Nor should you have a backup of your private key in your email, on your desktop, in your Google Drive, etc.The Ledger Nano S is a great hardware wallet solution, supporting all ERC-20 Ethereum token types. Your Reputation will be safe on one of these. We hope to have Augur support Ledger integration, meaning you can participate on Augur without ever having Reputation leave your Ledger.If you have any questions regarding Reputation, please contact us at [email protected]. Fixed reported outcome processing in event logs. Fixed reported outcome processing in converted transactions. Added market links to converted transactions for reporting. Added as-needed async market loading to the front-end transaction converter. Removed extra salt from commit-report encryption. Generic log filter parameters now include a branch ID field. Reporting contract event definitions now include an indexed branch parameter. Event validity bonds now have the correct label. The UI now processes logs using a comprehensive logs-to-transactions converter. Listeners for incoming reporting and payout events have been added to the UI. Included market creation fee and validity bond fields with market creation logs. The bond message font size has been fixed, so that it matches other transaction display items. The create market binding in augur.js now properly handles logged arrays. Added generic getLogs method to augur.js getLogs takes the event name as an argument, and supports nested indexing. The augur.js filters module has custom event parsing for all (non-logReturn) logged events. An enhancement to the development workflow (HMR – Hot Module Reload) was not functioning properly and required some reconfiguration to properly handle live changes. With the fixes in place, modules now update in real time, removing the requirement to either refresh the browser or restart the development server. Refined the UX surrounding the trade order creation process. Previously, the price would remain static if a value had been input, even when switching sides. The price will now update automatically to the best available price based on available orders whenever the trade side is changed. Placing a trade no longer automatically navigates you to the transactions view, but leaves you on the market view. Reported outcome processing in event logs in augur.js now provides the correct outcome values for all reports. Modified the penalize event log to include an indexed event ID field. Heroku builds (app.augur.net) were failing due to changes encompasses within the migration to a unified code base and webpack as the primary bundler. Resolved those issues and deployed an updated build. Subsequent builds will be automatic upon pushes to master. The log_add_tx event API now includes a timestamp field. Trade log objects now include an augur.js-generated sequence number. Market links now work correctly in transactions generated from trade logs. The new build system now works correctly on Linux. Now allow someone to jus send fees to a market. Weight reports on a market based on how many fees it had paid through events as opposed to outstanding shares [which are somewhat proxies for each other]. Several fixes/improvements to the new build system. Fixed several visual and messaging bugs in transactions auto-generated from trade logs. Added Snapcraft file to augur repository. Removed deprecated files associated with the old market update timer (market-data-age and market-data-updater). Fixed missing property error thrown during market creation. Market descriptions now display properly in the transactions display. Merged the augur-ui-react-components (AURC) repository into the augur (UI) repository. AURC is now deprecated; all UI development will take place in the augur repository. Added support for yarn (in addition to npm); see updated README for details. Migrated build system from a collection of ad hoc scripts to webpack. Added hot-module-reload (HMR) support to the build system. HMR propagates changes to the source code to the browser automatically, without requiring a page refresh. Auto-update trades converted to transactions for trades with matching hashes. Implemented hotjar tracking for augur-dev.firebaseapp.com and app.augur.net. Fixed trade converted to transaction total cost and returns messages. Automatically convert incoming bids/asks and trade cancellation logs (from loadAccountTrades) to transactions formatted for display during the trade data update action. Bids, asks, and cancel transactions are now loaded directly from the blockchain. Removed deprecated market-data-age and market-data-updater selectors. Added total return per share calculation to trade transaction conversion. Restructured bids/asks and cancels objects to match trade logs structure. Added bids/asks and cancel log getters to modules/logs. Added account bids/asks and cancels data to loadAccountTrades. Automatically convert incoming trade logs (from loadAccountTrades) to transactions formatted for display during the trade data update action. Trade transactions are now loaded directly from the blockchain (so your trade history is portable across browsers). Added timestamp to log_add_tx and log_cancel. Added timestamp to complete sets logs. Added basic trade transaction reconstruction from logs to update-account-trades-data. Added takerFee, makerFee, transactionHash, and timestamp fields to account trade return value. Renamed tradeid -> trade_id in getMarketPriceHistory for consistency. Added trade ID to getMarketPriceHistory results. Added isIndeterminate field to getReport default return. Removed redundant (and broken) getMarketTrades method from augur.js. Please use getMarketPriceHistory instead, a function that is not broken and retrieves the same information. All fixed-point fields in the log_fill_tx event logs are now auto-converted to regular (stringified) numbers. Note that log_fill_tx and log_add_tx are the only two filters where fixed-point conversions is automatically performed. Updated load-report and load-reports tests. Indeterminate reports now load and reveal correctly for all three market types. Fixed outcome name displays in reveal report transactions. The no-report callback argument for getReport wrapper now uses the same object structure as the unfixReport function. 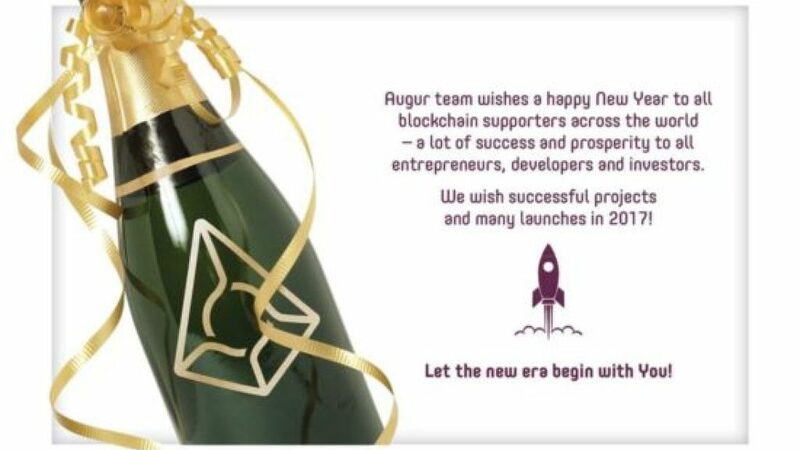 Happy new year from all of us at Augur! 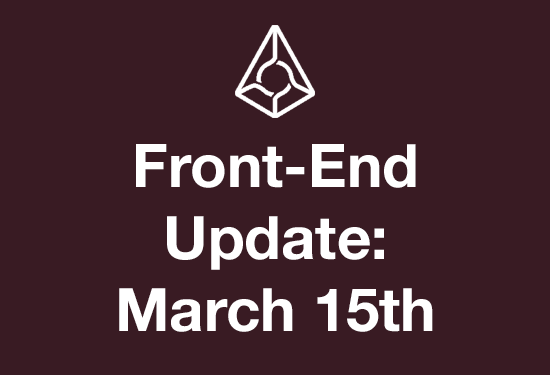 The front-end is progressing forward week over week, and we’re collecting great feedback from our users and community members. The final phases of preparation for security audits are underway. An announcement will be made when they begin with all relevant information. 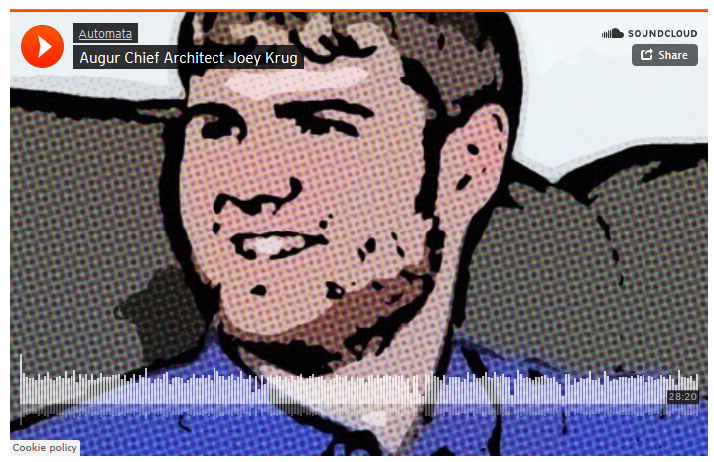 Be sure to check out Joey on the latest episode of the BlockChannel podcast discussing both Augur and Ethereum! Moved the in-progress display logic for order cancellation to the transaction relayer. Removed manual transaction display updates from cancel transactions. Added a single order selector (selects an order from the order book using its order ID AKA trade ID) to the bids-asks module. The front-end orderbook data store is now properly updated by the trade (log_fill_tx) and bid/ask (log_add_tx) filters. Only show balances in payout transaction display once the transaction has completed. Fixed winning outcome shares selection for categorical markets. Transaction messaging now distinguishes between in-progress transactions (present tense) and completed transactions (past tense). Added a new log (fundedAccount) to the faucets contract, so that fundNewAccount transactions are logged and can be loaded into transaction history. Streamlined the conditional fund-new-account and registration timestamp actions during login and registration. Moved the in-progress display logic for new account funding and timestamping to the transaction relayer. Verify that user has a winning position with greater than zero shares before calling the trading payout functions in augur.js. Moved the branch synchronization sequence specific to reporters to a separate action, and added a check for non-zero REP balance prior to dispatching this action. Logging in to an existing account now triggers free account funding if any balances are zero, instead of only checking if the account’s “ether” balance is zero. Importing an account from file now (conditionally) triggers funding and registration timestmap actions. Reordered loadLoginAccountDependents actions: registration timestamp lookup now happens before updateAssets. Added allAssetsLoaded method to the balances selector. Added fundNewAccount the transaction relayer. The default transaction constructor now allows custom message and description fields. The updateAssets callback now only fires once, after all assets are loaded. The FUND_ACCOUNT header text in the transactions display is now “Fund Account”. Moved the in-progress display logic for market creation, trading payouts (claim-proceeds), registration, and REP transfers and approvals to the transaction relayer. All messaging callbacks have been removed from claimMarketsProceeds in augur.js. Trading payout receipts in augur.js are now parsed using the filters event message parser. Updates to the augur-abi middleware module: added negative number support to the format_int256 method, and added an unfix_signed method to unfix and wrap to negative if needed. Added status parameter to constructRelayTransaction; assign in-progress/success status depending on if blockHash is set. Gas fees and timestamps now display properly for all relayed transaction types. Fixed gasFees formatting for transactions that are manually updated by the front-end. Removed deprecated messaging callbacks from checkPeriod. Added a “closedMarket” log to the CloseMarket contract that includes the market ID, branch ID, and sender account address for the market being closed. The old closeMarket_logReturn filter in the front-end has been replaced with the new closedMarket filter. Changed the initial report value for scalar events to an empty string to fix an uncontrolled-to-controlled input warning generated by React. Removed register from no-relay list. Removed manual Reveal Report transaction messaging code. Replaced “in progress” transaction status text with “submitted”. Your account positions are now reloaded after claiming trading payouts. Fixed the “isUnethical” calculation in constructSubmittedReportTransaction and constructSubmittedReportHashTransaction. Added missing dispatch arguments to constructReportingTransaction cases. Added report styling and unethical report “thumbs-down” icon to the Transaction component. The buildDescription function inside the Transaction component has been replaced with a new TransactionDescription component. Moved report ethicality display into separate ReportEthics component, and replaced ethics displays in My Report and Transaction with ReportEthics component. Removed report ethicality display logic from formatReportedOutcome. Attached id (market ID), minValue, amd maxValue properties to the market info objects fetched by getMarketInfo, getMarketsInfo, and batchGetMarketInfo in augur.js. Fixed two React warnings: 1) Added a new hidePrefix property to the ValueDenomination component and used it instead of conditionally displaying the freeze prefix value. 2) Changed the default null state values in the ReportForm component to undefined. In the branch synchronization sequence, getPenalizedUpTo and getCollectedFees are now only called if the user is logged in. Added a long dash (—) display in the “end date” column of My Reports if the end date is not available. Outcomes reported as both Indeterminate and Unethical are now displayed correctly in relayed Commit Report transactions. All manual commitReport transaction create/update/delete actions have been replaced by the transaction relay. Added a report encryption wrapper to the front-end. Indeterminate reports are now correctly converted to hexadecimal strings in augur.js fixReport method. Converted main trade logged-transaction loop to async.forEachOfSeries for proper getMarketInfo callback closure. Added initial check if “from” field matches login account address before processing relayed transactions. Fixed a reassignment error in place-trade. Filled in collectFees front-end transaction relayer. Added a check for the second half of the reporting period to the collectFees block of the composite reporting synchronization / updating methods in augur.js. The relayed transaction gasFees field now is included in filtered/converted transactions, if it is available (in-memory). Moved collectFees logic to augur.js: fee collection now handled automatically by augur.checkPeriod. The UI sync-branch-with-blockchain logic now looks up the last report cycle penalized and and the fee collection status of the cycle being checked for penalties. Both of these fields are now attached to the branch data store and available in the front-end. Filled in switch cases for submitReport, submitReportHash, penalizeWrong, and penalizationCatchup in the front-end part of the transaction relayer. Fixed/updated all downstream actions from or calling to bid, ask, and short ask. Replaced deprecated bid, ask, and short ask transaction-related code with simple calls to augur.js. All transaction display updating and messaging is now handled automatically by the transation relay and filters. Added possible events that can be logged by a method call to API maker script. Added error / null return checks to load-then-retry-conversion callbacks. Added an optional “trade-group ID” parameter to all on-contract trading functions: buy, sell, short_sell, shortAsk, and trade, as well as the log_add_tx, log_fill_tx, and log_short_fill_tx events. Also added support for trade group ID in augur.js and the front-end. Trade group ID is a UUID assigned to each trade by the front-end, and is used to track (after-the-fact) which trades were placed as part of the same trade group or “meta-trade” in the UI. Updated reveal-reports, load-reports, commit-report, logout, place-trade, short-sell, and trade tests. All previously existing tests have now been updated for the transaction changes! Refactored place-trade: the “taker actions” (placeBuy, placeSell, and placeShortSell) are now in a separate file, take-order. Added Buffer support to the serialize utility in augur.js. The unit test suite for augur.js has been significantly expanded. Added loginWithMasterKey to augur.js accounts unit tests. Renamed the “web” submodule of augur.js to “accounts”. The old reference will continue to work for the time being. Added unit tests for the new winning-positions selector. Updated price-time-series and claim-proceeds unit tests. Changed scrollbars to auto-display when needed. The cash contract now fires a sentCash event when the send or sendFrom functions complete successfully. Supporting code has been added to the front-end listeners, the filters event formatter, and the transaction relay to listen for, parse, and automatically show on the transactions page. Simplified the transactions module by removing two unnecessary methods (updateExistingTransaction and processTransactions). Removed extraneous description fields from augur.js wrapper functions. Descriptions are now handled by the relayer. Added isShortAsk parameter to on-contract sell function and its associated log_add_tx event. The log_add_tx and log_short_fill_tx filters in augur.js autoconvert isShortAsk to a boolean value. Fixed final numMarketsToLoad value for descending loadMarkets. Added always-in-progress flag to relayed commitTrade transactions. Removed duplicate trading fees display in bid/ask/shortAsk transactions. Added isShortAsk field to relayed shortAsk transactions. Fixed short sell and short ask messaging. Added log_short_fill_tx as a separate relayed transaction label. Simplified trade simulation setup by inlining the trade and short sell “transaction” objects. Removed unused add-short-sell-transaction and add-trade-transaction files. The Transaction component no longer has separate commit-to-buy/sell types. These types now simply use the trade type the user is committing to. The transaction relayer now automatically fills in all fields for commit-trade, trade, and short-sell transactions by using the new, more detailed trade info fields attached to the tradeCommitment data store. Default “scaffolding” transaction updates have been removed from the relayer. Fixed in-progress vs completed messages for log_fill_tx. Assignment to the gasFees field now works correctly for relayed and logged trading transactions. Removed unnecessary dispatches from placeTrade and its subroutines. Added trade arguments and orders to the tradeCommitment datastore. The initial funding transaction log is now loaded alongside the registration timestamp transaction log. Replaced the ugly monster header with a “regular” header in the transactions view. The messaging for trade, short_sell, and commitTrade transactions is now handled by the transaction relayer. Deprecated manual transsaction messaging for these functions have been removed. Refactored place-trade: removed dispatcher from placeAsk, placeBid, placeShortAsk, and parametrizeOrder functions, and moved these functions to trade/actions/make-order. Simplified the selectScalarMinimum function and moved it to market/selectors/market. Replaced manual transaction processors for trades (buy/sell); refactored and simplified placeTrade. Simplified default message generator in registerTransactionRelay. Removed unused disableAutoMessage transaction property. Fixed bond object in constructMarketCreatedTransaction; fixed constructMarketTransaction parameters; moved marketCreated label out of constructMarketTransaction group. Consolidated create market actions into submitNewMarket; removed manual create market transaction updates. Fixed adjusted-maker-fee calculation in constructLogAddTxTransaction. Added gasFees field to trading transactions in constructRelayTransaction. Added missing arguments to cancel in contructRelayTransaction. Some quick updates from this past week, our current status was summarized quite well here on Reddit. We’ve gotten the team together this week to meet up and plan our roadmap for the following months. The front-end user interface is ready for security audits, with the remaining tasks revolving around re-skinning, and updating the middleware plumbing that interacts with it. We are working on brining in two more people (one designer, and one on-boarding specialist) that used to work with Intrade / TradeSports. The timeline for a full launch is currently looking like this summer, with real money bug bounty markets coming a few months prior to that. Joey did an interview with Automata, hosted by John Southurst and Daniel Carwey, talking about the 2017 plans for Augur and what’s to come. Be sure to check it out below! A command queue and mutex is now used by ethrpc to handle multiple outgoing RPC requests during the initial socket (websocket or IPC socket) connection. Fixed a bug caused by over-zealous log-getter removal from augur.js. Expanded augur.js unit testing suite. Progress on the inline close position functionality in the UI. The market ID field in the marketCreated log is now indexed. Improved the efficiency of market price history lookups: the price history getter now looks up the market creation block first and uses this to set the lower-bound of the log lookup. Removed the “mutable” flag for createMarket and createSingleEventMarket from their static API data. The return values from these functions are no longer state-dependent, so they can be used directly. Moved the augur-contracts “errors” JSON file to the ethrpc repository, and updated augur.js to support this change. ethrpc is now independent of the augur-contracts module. Replaced the ethereumjs-connect semi-functional integration tests with unit tests, resulting in significantly increased test coverage (from 68% to 98%). Updated augur.js connection code for compatibility with ethereumjs-connect 2.0. The augur-contracts module now attaches raw API data to its exported object. Eliminated ethereumjs-connect dependence on the augur-contracts module. Refactored sync-blockchain and separated sync methods from the update-blockchain action. Moved update-branch and sync-branch actions to the branch module. Restructured sync-branch tests: assertions, selectors, and state are now specified inside each test case. Fixed a trade ID formatting bug that was causing some trades to show up twice on the transactions page. All contracts have been reuploaded on Ropsten (network 3) as well as our private testing chain (network 9000). Transaction history is now “portable”: it will still be viewable even if you login on a different browser or computer! The upgraded transactions subsystem is now merged into the master branch! The bytes-to-utf16 conversion function in augur-abi now supports numeric inputs (BigNumber or JS numbers). Added a parity check to bytes_to_utf16 to fix a bytearray conversion error from augur-abi. Simplified loginWithMasterKey method in the augur.js accounts submodule, and removed placeholder (constant) salt/password/IV values. Indentation is now uniform (2 spaces) across the following repositories in the AugurProject Github group: augur, augur.js, augur-abi, augur-contracts, and ethrpc. Updated the default network ID from 2 to 3 across middleware repositories. The “price” field is now used as a fallback for “fullPrecisionPrice” for scalar price adjustments when the latter field is not present. Fixed messaging for maker of order taken by short sell transaction. Saved log.shares in transaction.data.shares for payout transactions. Used tradeCommitment for relayed short_sell order lookup. The addOrder function now works properly when the market order book is initially empty. Added an initial existence check to sent* logs-to-transactions conversions. Fixed an old reference to the “shares” property of a trade (should be “amount”) in the price history totals calculation. Changed the getOutcome and getUncaughtOutcome returns types in augur-contracts static API data to “number”. Added unfixReport conversion step to getMarket(s)Info callbacks in augur.js. Reporter assets are now updated prior to reporter-only synchronization with the blockchain state. Split two oversized files in the transactions module (register-transaction-relay and convert-logs-to-transactions) into 3 smaller files each. All unit tests in the front-end are now compliant with the transaction relay (i.e., the new transactions subsystem). Skinning of the remaining front-end pages is underway. Our authentication system has been refactored and skinned, along with the footer and a few other pages around the app. The authentication system is receiving one more pass through this week, as this is a security critical part of the front-end (it engages with your private key). Our full testing suite will be pushed next week, which will cover all functions within AugurJS. throughout Augur. Bug reports are best reported in our #betatesting channel on Slack. audits, and we will keep everyone updated on the status of them. Finally, if you’ve been thinking of getting a Ledger Nano S to secure your REP, we’ve published a guide on how to do so. Let us know if there are any remaining questions or parts you’d like to see expanded. Completed a simplification refactor to authentication views (Sign Up, Login, Import). Styling is in-process. Moved updateTradesInProgress trading actions post-processing to a new augur.js function, calculateTradeTotals. Moved placeTrade loop-thru-trading actions to new executeTradingActions function in augur.js. Added optional doNotMakeOrders parameter to executeTradingActions, placeTrade, placeBuy, placeSell, and placeShortSell functions. Fixed isShortAsk parameter formatting in sell function. Increased augur.js unit test coverage by about 10%. Fix to a double header bug in OS X Safari when scrolling. augur.js minified build now works correctly. Moved (almost) all trading logic from UI to augur.js. Added license link to footer. Added popover text for long outcome names in market preview panels. Augur to have its own StackExchange, similar to the Ethereum one. All contribution is encouraged and appreciated! Added fixReport and extra parameters to slashRep wrapper. Attach eventID field to marketInfo object for getMarketInfo. Removed newafterrep field from penalize filter. Always call callback after checking close extra markets, even if market(s) already closed. Only show rep penalization in penalize logs. Added slash rep info to report-form component. Attached onSubmitSlashRep to market selector. Added branch parameter to market view. Added slash-rep action to reports module. Fixed scalar report entry instructions. Added loadMarketsInfo to claimProceeds callback. Fixed portfolio.openOrders type (side) references. Added cancel-open-orders-in-closed-markets action to user-open-orders module. Added cancelOpenOrdersInClosedMarkets action to claimProceeds. Attached openOrders property to portfolio selector. Added open-orders selector to user-open-orders module. Added useHostedNodeFallback prop, disable/enableHostedNodeFallback functions to ethrpc, and integrated these functions into the initial augur.js/ethereumjs-connect connection sequence. Hosted node fallback can now be disabled simply by setting “hostedNodeFallback” to false in the front-end env.json configuration file. Trade simulations feePercent is now always positive. Fixed addOrder when orderbook is empty. Added within-order remaining-cash/-shares decrease in relayed transaction messages. Added negative signs to bid/buy/shortSell simulated actions. Use static max value/amount for trade commit messaging. Fixed scalar price calculation in trade log transaction constructors. Fixed calculated trade amount for relayed buy trades in scalar markets. Reporting test setup time 900 for multi-user tests. Use send instead of sendFrom for cash (eth) transfers initiated by user. Fixed short-sell total cost calculated from logs. Return transaction array for short-sell relayed transactions. Separate trade (array) relay transaction handler from others. Fixed simulated short sell cost calculation. Added isShortSell=true to tradeCommitmentCallback in executeTrade. Added getOrderBookChunked method to modules/compositeGetters. Put default orderbook chunk size (100) into constants.js. 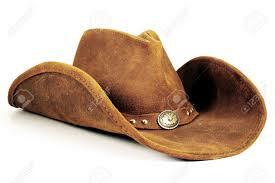 Trade commitment isShortSell field distinguishes between sell and short-sell for relayed commitTrade transactions. Order existence check in select-order-book (fixes no-order error for 3rd party logs). Moved chunked getOrderBook logic from load-bids-asks to augur.js. Fixed trade log reprocessing error. Added chunking parameters to get_trade_ids; call increaseTagPopularity in modifyParticipantShares. Added tags contract to data_api with basic setters/getters for tag popularity. Fixed array concatenation in getTradingActions. The new login, sign up, and import account pages have been completed and merged this past week. This will allow for a significantly cleaner authorization process. The new trading system on the contract end has been implemented, and removes a lot of complexity out of the UI/client. There are still a few remaining tasks to get through within the contracts before audits begin. We’re also working on a new home page for the Augur app. Highlighted in detail on the February 3rd update by Jack, the first tag defined during market creation will now be the “primary tag” or “topic” for the market. The initial home page will be a display of the most popular tags, rather than a list of all markets. A rough sketch of what this will look like can be seen here. This will improve the on-page performance with loading of the markets, allow for on-chain searching of the tags, and hopefully provide a more intuitive experience for users. Feel free to let us know your thoughts in our Slack! Renamed data_api/tags.se contract to data_api/topics.se and updated function names for “primary tag” to “topic”. The getTopicsInfo(Chunked) wrapper functions in augur.js now return objects (where the keys are topic names and values are popularities) instead of arrays. The topics selector in the front-end converts the stored topics object to a sorted array. Added sender address check to log_short_fill_tx listener. Added increase(Market)TopicPopularity actions and reducer; call increaseMarketTopicPopularity in fillOrder. The transaction relay in ethrpc now automatically adds the transaction hash the onFailed callback argument when it is available (usually only for transactions with mutable returns). Default hosted nodes in ethrpc are now (temporarily) using network 9000, due to severe congestion on Ropsten. Added placeAskAndShortAsk to placeSell sequence, to makeOrder, and to placeTrade sequence and tests. Trade and short-sell receipt parsing are now handled by dedicated methods in augur.js. The final trading callback for multi-action sequences now always fires at the correct time. Added logic to delete trade/short_sell transaction on empty trade to constructRelayTransaction. This fixes an error where sometimes simultaneous trades would both appear as “successful”, but only one trader would actually get the shares from the trade. Sell complete sets has been disabled in the front-end, since this will be handled automatically by the contracts in the (upcoming) updated contract version. Replaced orderBooks object with getOrderBooks function in placeTrade and subroutines. Added new modifyOrderBook module: makes local changes to order book. Fixed fullPrecisionPrice/price order in adjustScalarOrder. For orders filled by the user, call fillOrder in constructRelayTransaction instead of log_fill_tx callback. Refactored market order book updating functions: these functions now call to modifyOrderBook functions in augur.js, and replace the existing order book, instead of updating it. Report and Snitch tabs on market detail page now use isReportTabVisible market selector property to determine visibility. Reporting markets listing filter now works correctly. Scalar market outcome input box now displays correctly in the Snitch tab. The initial page load will be faster, since all markets will not be downloaded immediately. Re-uploaded all Augur contracts to the Ropsten testnet (network 3) and our private test chain (network 9000). Added the ability to ‘close’ an existing market position. This action will determine if a position can be either fully or partially closed based on the current order book state and will attempt to do so at the best available price. Snitch (slashRep) messaging now displays correctly. Fixed reporterIndex reference in slashRep function. Fixed eventID reference in slashedRep log and added a timestamp. Added missing doNotMakeOrders and tradeCommitLockCallback arguments to placeShortSell from placeSell. Added arguments lengthcheck to the first if statement in augur.js bindContractMethod. Updated/removed expired events from “canned markets” list. Each market will have a main topic used for categorization. Markets will load for each individual topic as they’re viewed, in comparison to loading every market on the main page. This will enhance Augurs performance & speed. The authentication code has been refactored, removing any interaction with private keys in the client. This reduces the surface area of code that needs to be audited within the UI. Our StackExchange proposal has moved onto the next phase, Commitment, where we will need 100 users with 200+ reputation committing to Augur. After the this phase, we move into our own public beta. Suggestions for building reputation are posting in the BitcoinEthereum, and Monero exchanges. As always, join our Slack with any questions! Markets that are in the process of being loaded now are flagged with an “isLoading” property, to avoid duplicate get-market-info requests to augur.js. Removed unused selectedOutcome selector, action, and reducer. Fixed derived key references in the front-end. Refactored report-encryption module and added unit tests. Refactored the register module in augur.js and removed its unused methods. Removed unused fundNewAccount callback from loadAccountData. Added loadRegisterBlockNumber action to fundNewAccount callbacks. Added enum like construct for current RPC status. This should improve readability by removing the magic numbers, without breaking backwards compatibility. Added docker support. This makes it so the tests can be run inside docker, to minimize local environment and compatibility issues and allow for turn-key development. The readme has been updated with instructions on how to run the tests from inside Docker. Update loginAccount during setupAndFundNewAccount to avoid UI side effects. Fixed loadAccountDataFromLocalStorage position in loadAccountData sequence. Use loginAccount state instead of account parameter in display-login-message. Consolidated fundNewAccount calls in loadAccountData; split functions in load-account-data into separate files. Removed conditional fundNewAccount/registerTimestamp callbacks from login, register, login-with-airbitz, and import-account actions. fundNewAccount action no longer accepts a callback. Expanded augur.Register.register wrapper and renamed to loadRegisterBlockNumber. Moved savePersistentAccountToLocalStorage to new save-persistent-account auth action. Combined loadFullAccountData and loadLoginAccountDependents functions. Fixed sentCash event label in the front-end listeners. Fixed manage Airbitz account button display. Refactored loadLoginAccount in auth module. Cleanup of auth cruft in components. Removed “name” from importAccount, login, and register actions / augur.js calls. Replaced loginID argument of login with keystore. Removed loginID and name properties from account object. Renamed loadLocalLoginAccount to setAccountObject in augur.js. Removed unused onSubmitClosePosition prop from market selector. Fixed keystore reference in account export. Refactored login action; moved displayLoginMessageOrMarkets and loadFullAccountData to load-login-account. Refactored load-login-account actions for augur.js/loginAccount data split. Set height for mobile logo. Removed account-settings (no longer contains relevant properties). Added on-chain topic search to augur.js. Added topic (first tag) as an indexed parameter to the marketCreated event on the createMarket contract. Updated account references in loadLoginAccountDependents. Refactored register actions in auth module. Removed duplicate data in state.loginAccount and augur.accounts.account in augur.js. Fix to account registration action that was causing initial funding to fail. The new landing page for the main app has been completed and deployed! A bunch of tasks have been cleaned up this week (detailed below), along with the addition of Google Translate. Google is employing neural machine translation this year with translate, and translation is expected to get significantly better. More details can be read here. 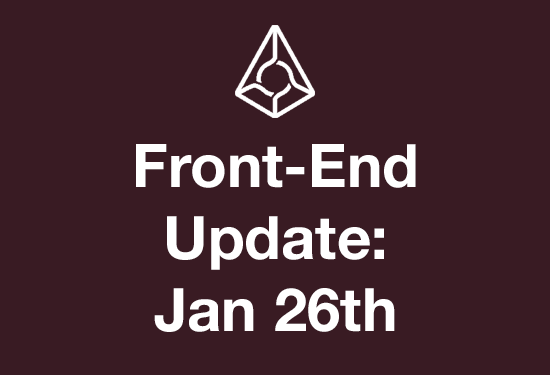 We’re working on updating the Augur.net landing page, as well as the implementation of ShapeShift for deposits / withdraws and the Coinbase buy button for Bitcoin and Ether. Our testing suite is nearing 88% coverage, progressing week over week. Joey is finishing up writing tests for the backstops, along with other final tasks around the contracts. Refined the build process for augur + reduced the overall build weight via removal of unneeded fonts. The formatTag function in augur.js now trims whitespace from tags before converting to int256. Fixed checkbox component check icon. Fixed thumbs-down icon on transactions page. Removed updateTopicPopularity action from marketCreated listener callback. Fixed market link in create market transaction display. Google Translate is now integrated with the front-end. Topics and tags are now displayed as-is in the front-end (no trimming or forced case changes). Market creation now separates “topic” (first tag; required) and “keywords” (other tags). Resolved issue related to the display of icons on the topics view. The loadEventsWithSubmittedReport action has been entirely removed, as the data loaded was duplicated by loadReportingHistory. The transaction constructors invoked by loadReportingHistory now populate the eventsWithSubmittedReport data store. Icofonts are now available for use in the front-end, in addition to the font-awesome icons. Multi-case topic strings are now handled correctly. “Hero” topics now have the same font size as other topics on mobile. Updated market creation to require a ‘Topic’. Keywords are still optional. Fixed order book generation in canned-markets script. Initial refactoring of ethrpc to add proper unit tests (with TestRPC) and robust websocket / IPC socket reconnection. Added websocket support to TestRPC. Added motion design for when a topic’s volume has either increased or decrease. Constrained width of topics view. The automatic order book generation function “generateOrderBook” in augur.js now works correctly. Edited the topics and keywords for “canned markets” so they are reasonably good examples. Added more icon-topic associations to the front-end. Report commit locks are now indexed by event ID. Market volume is now subtracted from topic popularity when the market closes. Added report-commit-lock to avoid double report submission. Fixed market-without-description error during new market creation. Updated createEvent, createMarket, createSingleEventMarket labels to match augur-core, and relabeled branchId to branchID in getMarket(s)Info object. Markets no longer have a description separate from their underlying event description. Updated “unfixReport” to “unfixRawReport” in several places in the UI to match augur.js. The loadMarketsInfo/loadAccountTrades loop post-claimMarketsProceeds now works correctly. Reported outcome is now calculated correctly for scalar/categorical events for both log-lookups and “big getter” lookups. Split unfixReports into unfixRawReports, unfixReports, isIndeterminateReport, and isScalarSpecialValueReport. Fixed register block number lookup in augur.js. We’re working on finishing up the re-skin of the create market pages this week. Our testing suite is nearing 95% coverage, and expect this to be finished up in the next few weeks. The new landing page has also been receiving some good feedback, and we encourage you to send us your thoughts. Our remaining front-end issues are slimming down, with majority of the remaining tasks being related to skinning. Our standalone Ethereum key management library, keythereumKeythereum is a small, isolated, but important piece of code – so it seemed like a natural place to start our audits. We’ll be expanding the audit to include the contracts and the other relevant parts of the middleware over the coming weeks. Joey wrapped up some miscellaneous bugs this week, along with the addition of a function allowing more trades to be executed on-chain with backup trades if some were already filled. Also, instead of having to commit to specific orders, you now just commit to a market, outcome, or direction while doing the trade commit and reveal. He will be also speaking at the MIT Bitcoin Expo next week, so be sure to say hi if you’re in the area! Our Ethereum key management library, keythereum, now only allocates memory for scrypt if you actually use scrypt for something. Updated versions for keythereum’s dependencies ([email protected], [email protected], [email protected]). Removed outer try/catch from keythereum’s asynchronous key derivation using scrypt. Keystore filenames are now automatically converted “:” to “-” when exporting files on Windows. Fixed scalar/categorical indeterminate outcome calculations in augur.js. Simplified ReportEthics popup wording so it works for both consensus outcome and user reports. augur.js now uses getReport instead of getEventCanReportOn to determine if penalizeWrong is needed. Fixed “Reporting” markets listing filter so that only markets actually up for reporting are displayed. Shares of all outcomes are now automatically cashed out for markets that have been resolved indeterminate and/or unethical. Fixed closed market notification on detail page. Removed indeterminate radio button from binary and categorical reports, so that only one Indeterminate option is shown for these events. Binary and scalar unethical icon now displays correctly in the market details page for closed markets. Simplified the organization of the market(s)Info object from augur.js, and updated the UI to support these changes. Used production instead of development build for public endpoints. 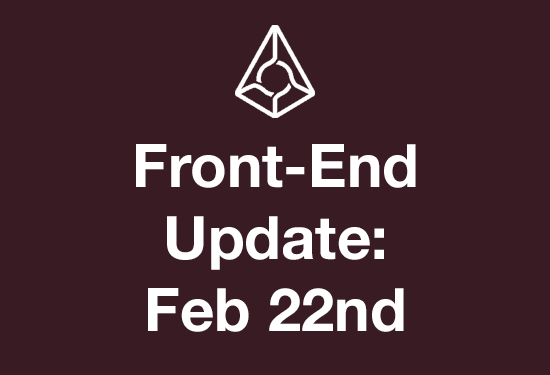 Fixed event-already-moved-forward check in augur.js penaltyCatchUp. Replaced setTimeout silliness in updateMarketTopicPopularity with an on-chain tags lookup. Added getNumReportsEvent/moveEvent and check for null/zero event IDs to penaltyCatchUp sequence. augur.js now includes a chunked version of its getLogs method. Added tradeFirstAvailableOrder wrapper for the new on-contract trade function. Fixed redirect issue related to Airbitz login. Fixed layout issue related to feedback + chat buttons. Fixed issue that would cause an error when refreshing app on a market view. You will be able to preview your market in real time, and view the order book as you enter the initial liquidity. As creating a market is one of our core features, we felt is was important to spend extra time on this process to ensure its user experience. Let us know what you think, and keep an eye out for it on the main app within the next few days! We finished changes to Ethrpc and integrated them into Augur. Ethrpc is now more resilient to running in adverse conditions when nodes come and go. It also now does a better job at sticking to one Ethereum node, rather than jumping around at runtime. We’ve been working with a new developer, Micah, to improve our core infrastructure and reliability. Our StackExchange proposal is now at 55%! Please share it with your friends, and help us have our own StackExchange by launch. Added more debugging options to env.json. Changed hosted node addresses to network 9000. Do syncBlockchain before updateAssets in block listener callback. Added react-redux to dependencies; added transactions container for react-redux. Moved transaction confirmations prop calculation to component. Added missing currentBlockNumber prop to TransactionsView component. Added default gasprice fallbacks to rpc.gasPrice references. Removes unnecessary recursive directory creation. Updates to work with recent augur.js and ethrpc changes. Refactored reports and transactions reducers. Added more icons for topics. Moved TransactionStatus into separate component: display number of confirmations for successful transactions. Added number of confirmations to logged/relayed transactions. Improved transaction status / confirmation display. Removed duplicate confirmation check from relayed trade transactions. In Augur, there are three different types of markets that can be created – binary (yes/no), multiple choice, and scalar. While anyone can create a market on Augur, it’s important to put the time and effort in learning how to create a goodmarket on Augur. Most of the past week has been spent adding & updating tests for transaction actions, as well as updating Keythereum with the feedback we’ve received from auditors. Keythereum’s audit will be complete this week, and we will have a post-mortem summary for next weeks update. The Legder plumbing has been built, and the UI integration will be worked on this week. You will be able to use your Ledger to log into Augur and insure your REP/ETH are stored securely. Next on the integration task list is uPort, and the transactions display for re skinning. We’re working on updating our FAQ and making a new Reddit megathread, and fielding feedback / opinions here. Please let us know if there is anything specific you want covered. Current checklist for the upcoming few weeks is to have the remaining middle wear audited (ethrpc, etc), and get the contracts shipped off to be looked at. 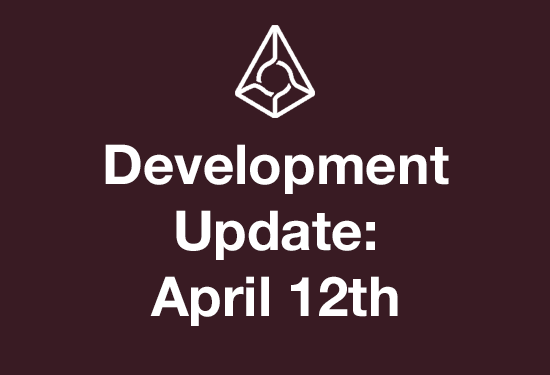 You can follow the development of the code review for the contracts on the augur-core develop branch. All the audits will have a summary upon completion with the findings and fixes from our auditors. Added basic Legder support (no UI) – all the main plumbing. Fixed bug in market payouts in augur-core. Miscellaneous fixes from code reviewing in augur-core. Added tests for loadDataForReportingTransaction action. Cleaned up remaining links to the welcome view title. Added unroll_array function in augur-abi. Fixed import paths in augur.js. Added unit tests for filters/add-filter in augur.js. Moved to using redux for handling state in augur.js – redux-style store without redux. Use buffer to concatenate in encrypt / decrypt, both now return buffers in keythereum. Updated encrypt / decrypt to use Buffer outputs re: feedback from Keythereum audit in augur.js. Updated pasreLogMessage and formateTradeType references. Added support for backstops for pushed forward events in contracts. Begun adding whitelist checks and fixing other issues found while reviewing augur-core. Added / updated tests for: selectClosePositionStatus, generateOutcomePositionSummary, generateMarketsPositionsSummary, and loadDataForMarketTransaction. Initial refactor for full testing of stubbed my-positions-summary selector. Fixed branch currency initialization issue in contracts. isBase64 and isHexadecimal now returns boolean in keythereum. Added / updated tests for: closePosition action, getBestFill, updateSmallestPositions, updateSellCompleteSetLock, updateAccountCancelsData, updateAccountTradesData, updateAccountPositionsData, updateNetEffectiveTradesData, updateCompleteSetsBought, updateOrders, accountPosition and accountTrades actions. Added controller data in preparation of new updater with new controller syntax to allow controller updating in augur-core. Left-pad private keys to 32 bytes, added more privateKeyToAddress test cases. Added / updated tests for: penalizationCaughtUp, penalize callback, registration callback, submittedReportHash callback, submittedReport callback, slashedRep callback, log_fill_tx callback, log_add_tx callback, log_cancel callback, completeSets_logReturn, marketCreated callback, tradingFeeUpdated callback, deposit callback, withdraw callback, sentCash callback, transfer callback, approval callback, and closedMarket callback. Updated filter / subscription setup to use blockstream in augur.js. Added some updates to the controller in augur-core. Most of the past weeks progress has been around reviewing the contracts. New features are not being added right now, tests are being written and unnecessary / complex features are being removed. A write up will be coming with the completion of this review. The trading contracts will be the first contracts ready to be audited. Testing for the Augur client is complete and the security sensitive parts are next on the list to have audited. SmartContractSolutions has a team of engineers that started this past Monday on reviewing and trying to break the Ethereum Serpent compilersticked Reddit thread for a log of the major remaining tasks and auditing progress. The account page re skin is still underway, with further updates this upcoming week. A reminder that Joey is speaking at Consensus and TokenSummit next Tuesday and Thursday, try and catch his panels if you’re attending! Reach us below if you have any questions, or would like to contribute. Fixed / updated unit tests for my-markets, my-positions, transactions, and trade. Fixed an erroneous dispatch in commit-report, fixed most of the reporting tests, added a skip for report-encryption-tests. Fixed missing props issue with application container. Fix to missing prop in accounts view and re route user if they are authenticated and are attempting to traverse to authentication view. Routes refinement and moved isMobile to redux state to remove necessity to deeply pass different prop types. Made cash transfer before share transfer so worst case loss is correct. Replaced another written out sell complete sets with function call. Fixed a log (but not actual $$) accounting error. Fixed / updated unit tests for bid-asks, branches, create-market, market and markets. Cleanup to routes within the client. Refund the handling of the window history state and re route on navigation to authenticated views when not authenticated. Removed an unneeded selector and refunded some prop handling at app level. Removed deprecated code from shareTokens.se. Refactored out order data from markets and put in orders. Removed duplicate cash transfer and fixed undefined variable bug on takeBidOrder.se. Added takeBidOrder share sand cash balance assertions for maker-escrowed-shares and maker-escrowed-cash tests. Added cash and shares balance assertions for takeBidOrder when taker has shares. Added orders extern to complete sets. Fixed transferFrom to market in takeAskOrder and takeBidOrder, added types to TakeAskOrder and TakeBidOrder logs. Added shares and cash balance assertions to takeAskOrder tests; added separate maker-escrowed-shares and maker-escrowed-cash takeAskOrder tests. Modify and improve create-market order Qty to be consistent with order-book Qty. Fixed / updated some linting issues and auth tests. Added @internal, @private, @public, @controller comments to indicate intended permissions and visibility. Forced min/max to be a number of outcomes for categorical to comply with rest of the codebase. Fixed branch lookup and added creation fee increase check to decreaseTradingFee. Fixed / updated unit tests in the app section. Initial reorganization of account and movement of navigation to separate module. Fix to output paths for styles and vendor. Initial refinement to handling async components and router simplification. Refactored auth module to utilize container. Added tests of placeBid for account holding all outcomes except the one bid one. Updated marketInfo.se and removed old code. Added safeMath and collectFees after errant delete. Use decimal in fix/unfix for tests added publicUpdateTradingFee method. Updated liquidity typo in create market. Cleaned up tests, added a few more cases and a bunch of descriptions that were missing for assertion failures. Removed bidder-shares-filled conditional from takeAskOrder. Fixed initial value for complete set check in makeOrder, takeAskOrder, and takeBidOrder. Fix to inputs rendering above navigation. Remove resize listener when competent is unmounted and check fi ref is available before applying in-line style. Shifted notifications icon to the right of the nav bar. Fix to positions value when new ask is added. Refactored takeBidOrder; added basic takeBidOrder tests. Fixed an issue in consensusData that would have prevented refunds from being sent, and updated some tests.